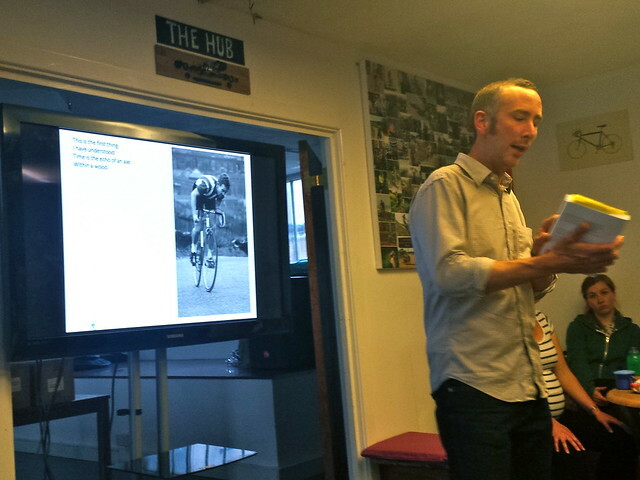 Back in June I went to the launch of Paul Jones’ book “A Corinthian Endeavour — The Story of the National Hill Climb Championships”. It was a great talk and it’s a great book. Here in the UK, we don’t have Alpine cols or Pyrennean passes. We have hills. Hills with erratic gradients and peculiar names — Nick-o-Pendle, Mow Cop, Pea Royd Lane — hills which, at the end of the cycling season, draw nascent professionals and amateur specialists to battle. Jones has the credentials to tell the tale: an unashamed fan and a talented writer, he is himself a tidy competitor. 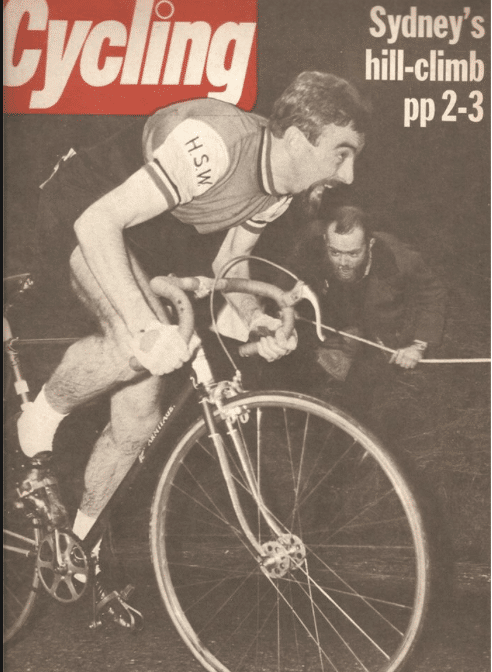 The book begins with him interviewing Vic Clarke, the man who finished second in the inaugural national hill climb championships in 1944 and who would go on to win the event three times. Also present is Lyn Hamel, a current competitor and multiple champion herself. When Jones offers biscuits (Marks and Spencers Belgian chocolate selection!) both champions decline: for climbers, gravity is the enemy. Gravity isn’t the only enemy. Competitors don’t race head to head. The courses are too short and the roads too narrow. Instead they face off against the clock. The fastest time wins. As the book continues Jones deftly weaves the history of the championships around more interviews with their protagonists. There’s Chris Boardman, who set and still holds several records. There are other less familiar names: Wilson, Sydney, Armitage, Dobbin, Pettinger. I discovered Paul Jones via his Traumfahrrad cycling blog, a forum where he allows himself more freedom to poke fun and sound off. His blog describes the joy and pain of early morning training rides. He chortles at triathletes who get their socks wrong. 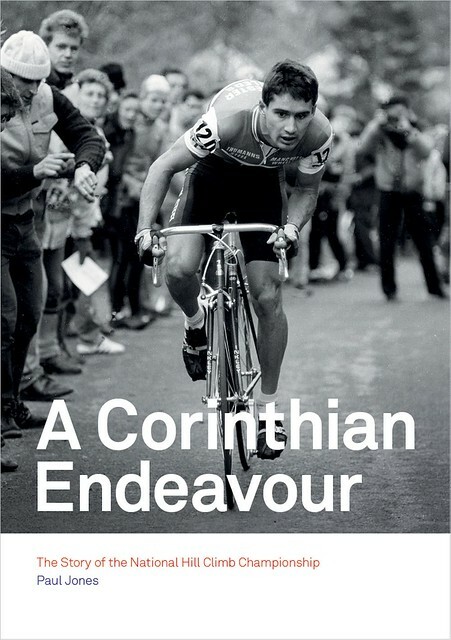 You’ll also find the details of his own assaults on the hill climbs: despite his self-effacement he’s clearly a feared and respected rider. In the book, though, he reins himself in and logs the facts. The who, what, how and when are painstakingingly researched and recorded. Gear inches matter more to the author than, apparently, to Chris Boardman, who can barely remember if he took part in a race which he won, let alone the number of teeth on his sprocket. … should be run on closed roads […] Riders should be digging out their hill climb bikes and making absurd modifications for no real gain […] each competitor needs to be left flailing on a grass bank like a dying goldfish. At the last, Jones claims hill climbers are ascetics in search of transcendence who tilt their caps backwards. By battling time and human frailty paradoxically they escape it and themselves.